The luck was rolling in on Saturday for Run Bentonville's Irish 5k/10k with a flat course and great weather as runners race for the pot of gold at the finish line. Photos for this race have been paid for courtesy of Bentonville Parks and Recreation. Race participants are granted permission to make any and all prints and to post online as wanted for personal use only. Editing/Photoshoping of photographs are not permitted without photographer's authorization. This authorization pertains to and only to the images that begin with the numbers Irish 4k8k 0001. 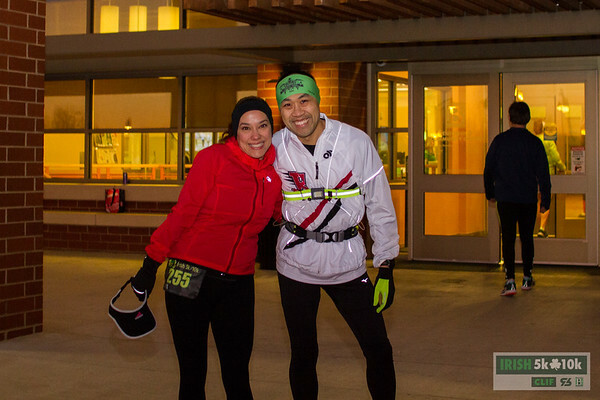 Runners came out to the Bentonville Community Center to take on their luck running the Irish 5k/10k.